Renegade Ducati riders, Shane Byrne and Michael Rutter dominated the third round of the MCN British superbike championship at Donington. Shane Byrne scored his first-ever BSB victory in a dry first race after a race-long battle with Virgin Yamaha’s Steve Plater. Byrne said: " I’m made up. I’d have been happy just to get on the podium but this is fantastic. " Rutter’s bike stopped on the warm-up lap so he had to start from pit lane on his spare bike. He battled though to fourth place. Championship leader Steve Hislop had brake problems and finished third. John Reynolds ran off the track in the first lap and then crashed at Redgate trying to make up lost ground. The second race started very wet and produced a thrilling battle between Byrne and Rutter. Both riders nearly crashed several times but Rutter gradually pulled clear to win by 2.39s from Byrne. 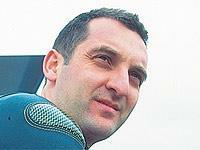 Rutter said: " I was nearly off the bike so many times. I realised just how good Shakey is, wet or dry. He really pushed me hard in that second one and that took some doing in those conditions. " Simon Crafar crashed at high speed with Karl Harris in the first race but bounced back to finish third – his first podium of the year on the Virgin R1. Seam Emmett crashed on the first lap at Goddard but remounted to finish fourth. Hislop was sixth behind Paul Brown. Reynolds suffered concussion in race one and was prevented from starting the second race by circuit doctors. He is expected to be fit for next Monday’s round at Oulton.